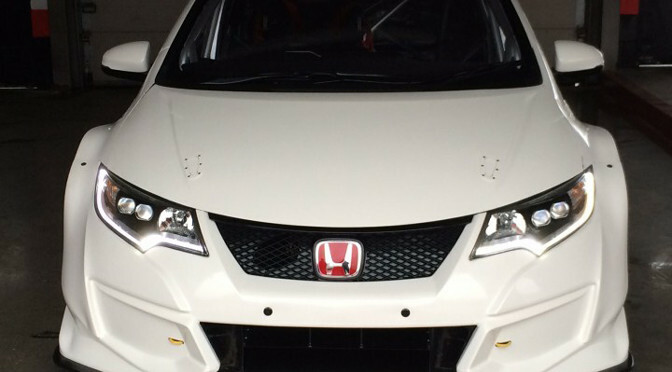 Honda has announced it is to race the new Civic Type R in the 2015 Dunlop MSA British Touring Car Championship season. Scheduled to be officially unveiled at the BTCC media day at Donington on Tuesday 24 March, the new car has been designed and built from the ground up in the Team Dynamics workshops in Pershore, Worcestershire. Working in close conjunction with Honda UK manufacturing in Swindon, Honda Yuasa Racing started designing the car last September with the build starting in November. Based on the production version of the new Civic Type R which is due to hit showrooms in July, the race version will develop 350bhp with 400Nm of torque. By building on the existing road car, which was sourced direct from the Honda UK factory in Swindon, the team has produced a car which has increased down force compared to last year’s Tourer, less drag and a more effective air flow management. The team has high hopes for 2015 as Barry Plowman, Technical Director at Honda Yuasa Racing, explains: “We cannot wait for the new season to start. Our car for 2015 is going to win races. The shape of the new road going Civic Type R has allowed the team to build on the design and take it forward to be a championship winning car. The announcement comes as the team recently confirmed an unchanged driver line-up of Gordon Shedden and Matt Neal for the sixth consecutive season. Honda scuppered Fernando Alonso’s plans to drive for Porsche in the 2015 Le Mans 24 Hours “at the last second”, according to German media. 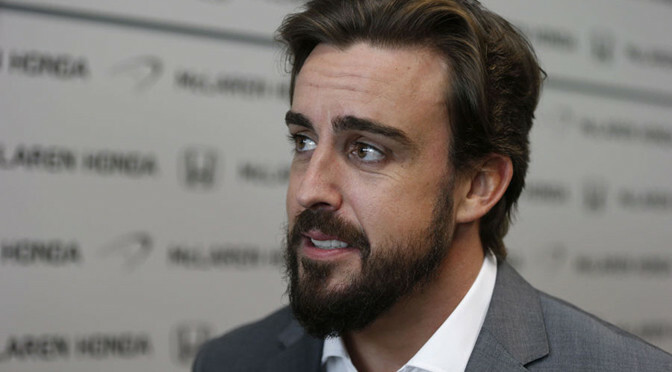 Alonso’s future was the subject of much intrigue last year, with a sabbatical in sports cars mooted as a possibility before his move to McLaren-Honda was confirmed in December. But, according to German website Auto Motor und Sport, the Spaniard retained an interest in racing in Le Mans and hoped to secure a joint deal which would have allowed him to compete alongside his F1 duties, only for Honda to veto the deal at the eleventh hour. A deal would have seen Alonso drive alongside Force India’s Nico Hulkenberg, who will combine F1 duties with Le Mans and another World Endurance Championship event, in one of Porche’s three-man teams. The 2015 edition of the famous race takes place on June 13-14, the weekend races in Canada and Austria. Once Alonso was out of the running Porsche reportedly turned its attentions to German driver Adrian Sutil, who was acrimoniously dropped by Sauber last year. But it appears contractual issues stemming from his time at the Swiss team have prevented him from signing. 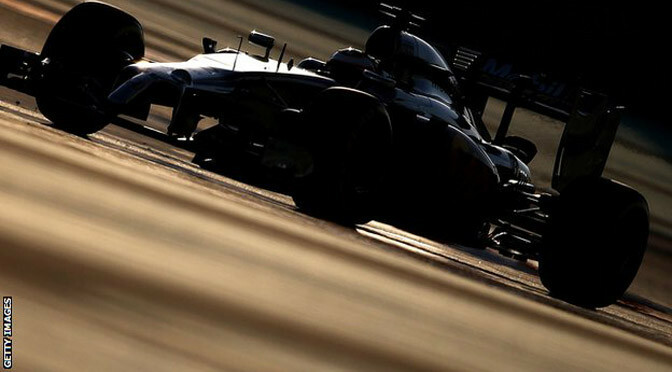 McLaren’s new engine partner Honda has won its fight to be allowed to develop its engine during 2015. Formula 1’s governing body the FIA has backtracked on an earlier rulingthat allowed Mercedes, Renault and Ferrari to upgrade their engines but not Honda. The move comes after Honda expressed its unhappiness about what it considered to be an unfair situation. Honda will now be allowed to develop its brand new engine within limits explicitly laid out by the FIA. Mercedes, Renault and Ferrari are allowed to change up to 48% of the engines they used in 2014 by the end of the 2015 season. This is defined by a number of ‘tokens’, which are assigned to parts of the engine on the basis of their influence on performance. Out of a total of 66 tokens, Mercedes, Renault and Ferrari can modify 32 through 2015. Previously Honda had been barred from changing any of its engine after it was approved for competition on 28 February. Friday’s ruling will allow Honda to change a given amount of its engine calculated by the average of the number of tokens unused by the other manufacturers by the time of the first race in Australia on 16 March. In the example given by FIA race director Charlie Whiting, he writes: “If the three 2014 manufacturers have eight, seven and five unused tokens respectively at the start of the season, then the new manufacturer will be allowed to use six during the season (the average rounded down to the nearest whole number)”. Honda, which is the first new engine manufacturer to enter F1 for well over a decade, had been concerned that it was not being treated fairly. Its senior management flew over from Japan to meet the FIA on Monday to express its concerns at the situation. This followed the decision by the FIA to allow Mercedes, Renault and Ferrari to use their 32 development tokens over the course of the 2015 season, rather than by the originally intended approval date of 28 February. That came after Ferrari, who had the worst engine in 2014, pointed out to the FIA that the rules did not clearly define when the modified engines for 2015 should be submitted for approval. Whiting admitted in his note to the teams on Friday evening that that ruling left “unaddressed uncertainty” within the rules on the permitted engine development. The FIA’s decision also takes into account the opinions of Honda’s rivals that it had an advantage inherent in entering a year late in that it knew a target to aim for, because it was aware of the performance of the rival engines in 2014. 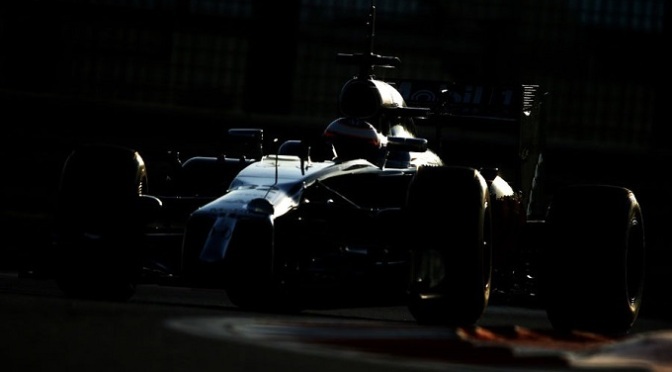 By contrast, Mercedes, Renault and Ferrari were shooting in the dark before 2014, when the new turbo hybrid engine formula, with accompanying fuel restriction, was introduced. What number of tokens will Honda have available? None of the three existing manufacturers are expected to start the season with an engine that uses all 32 development tokens. Mercedes are in the best position, but both Renault and to an even greater extent Ferrari will leave substantial leeway to make major changes to their engine architecture during the season as they are both behind where they wanted to be in terms of development. It is unclear exactly how much Honda will be able to develop its engine, but the latest FIA ruling and the positions of its rivals mean it is likely to have a significant amount of development available. Formula 1 bosses are debating whether to make changes to the engine rules following a meeting with McLaren’s new partner Honda. The Japanese company, returning to F1 after a six-year absence, believes recent changes made the rules unfair. Honda top brass flew over from Japan to discuss the issue with governing body the FIA on Monday. The spokesman added that the meeting was “constructive”. Honda’s concerns surround a recent clarification on in-season engine development. The FIA has backtracked on its previous stance and allowed existing manufacturers Mercedes, Ferrari and Renault to make improvements to their engines after the start of the championship. The FIA’s U-turn came about because Ferrari pointed out a loophole in the rules. Honda, though, is not being allowed to develop its engine during the season. A Honda spokeswoman said the company would not add to its previous statement on the issue “until we can get a further update from FIA should they reveal something”. Its previous statement said: “Honda believes in fair competition for the goodness of the sport, and for our fans. Insiders say Honda is “annoyed and unimpressed” with the situation. Some insiders believe one way out of the current situation would be to bring Honda into line with the other manufacturers over the course of this season. This could be done by allowing Honda to submit for official approval – or homologate – its engine on 28 February, as required, but then be given 32 tokens to develop it over the course of the season. It would then be in the same position relative to its rivals heading into 2016 as they are. Some F1 insiders have argued that the current situation sends out a poor message to any other car manufacturers thinking of entering F1 because it could be seen as putting new entrants at an automatic and unfair disadvantage. 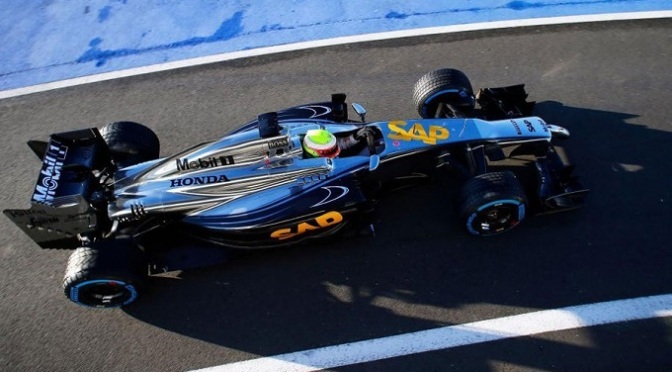 The new McLaren-Honda will be break cover on January 29 via an online launch. The car will be the first McLaren powered by a Honda engine since 1992 as the Japanese manufacturer returns to F1 this year with a brand new V6 turbo power unit. 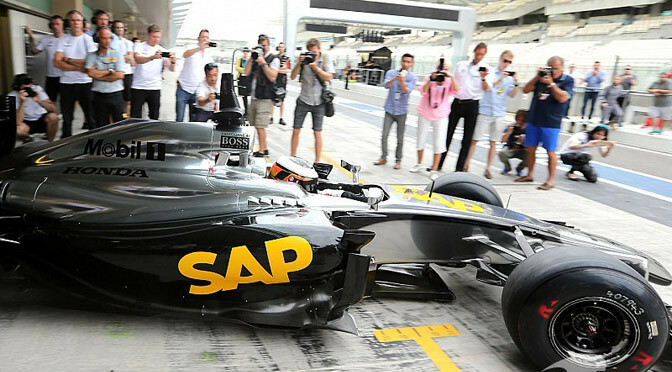 Known as the MP4-30, the 2015 car will carry the hopes of Fernando Alonso and Jenson Button and will make its public debut on January 29 ahead of the first day of testing on February 1 in Jerez. FIA regulations are too unclear for the sanctioning body to be forcing teams to freeze engine development. F1 newcomer Honda has been left out as rival engine suppliers prepare to develop their turbo V6 power units throughout the 2015 season. It has emerged in recent days that, because the wording of the regulations is unclear, the sport’s 2014 suppliers Mercedes, Renault and Ferrari do not in fact have to present in Melbourne an engine to be ‘frozen’ for this year’s entire world championship. “Everything depends on the interpretation of the rules,” Mercedes team boss Toto Wolff told Italy’s La Gazzetta dello Sport earlier this week. It is believed the loophole was discovered by Ferrari, and then backed in subsequent meetings by fellow engine straggler Renault. “The FIA offered its version (of the rules interpretation),” Wolff added, “and I do not see any problems. 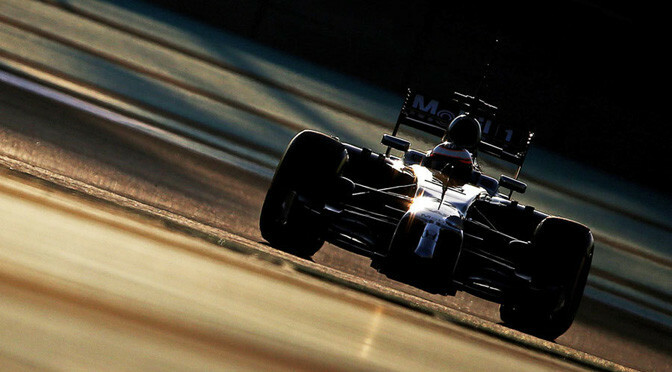 Crucially, however, F1’s engine newcomer Honda will not be able to develop throughout 2015. That is because the rules make clear that, for new engine suppliers under the turbo V6 rules that were implemented in 2014, a clear start-of-season homologation date is set: 28 February. No such homologation date exists, however, for engine suppliers’ second year under the new rules. It means Mercedes, Ferrari and Renault can deploy their 32 performance development ‘tokens’ throughout the entire 2015 season. Honda cannot. Writing in Germany’s authoritative Auto Motor und Sport, highly respected correspondent Michael Schmidt said: “Newcomers (like Honda) have no tokens in the first year. “Until their engine is homologated at the end of February, they are completely free to develop, but after that they may only upgrade on grounds of reliability, cost or safety,” he explained. 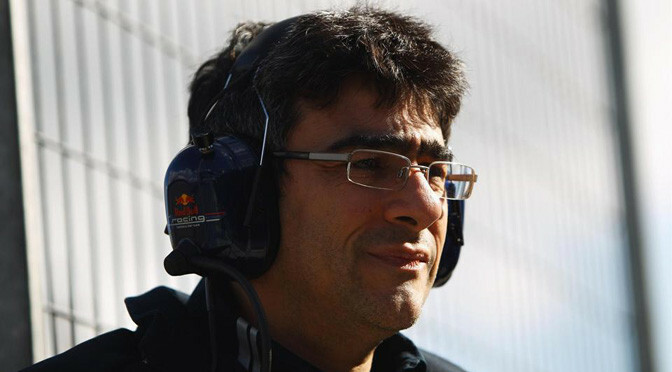 Prodromou, who re-joined McLaren as chief engineer in September after eight years as a chief aerodynamicist at Red Bull, has already been credited with helping the Woking team end 2014 strongly in terms of aerodynamic development. He will have far greater influence over the MP4-30 – the first car of the new McLaren-Honda works engine partnership, and the team’s racing director Boullier described Prodromou as a key asset as McLaren attempts to end a win drought that stretches back to 2012. “He is definitely a key signing – all the aero department has been restructured bearing in mind I knew he was coming,” Boullier told AUTOSPORT. Ron Dennis says the Honda engine that will power McLaren next season already has impressive performance and that the main concern will be making it reliable. Honda has been working on its new V6 turbo hybrid power units for two years but comes into the sport one year after rivals Mercedes, Ferrari and Renault first ran theirs on track. This season Mercedes had a significant performance advantage over its rivals, but Dennis is confident Honda will not be lagging behind in that respect. Honda motorsport boss Yasuhisa Arai is confident McLaren Honda will be able to challenge at the very front of the grid from the first race in Australia. Dennis said he had been most impressed by Honda’s approach to designing and building the new power units at its base in Sakura, Japan. “Going back to Sakura, it’s hard to describe just how impressive Honda’s motorsport R&D facilities are. The best way to describe the commitment is not to describe the actual facilities, but to share with you that the geography of Sakura is quite a long way – an hour on a high-speed train – from Tokyo, it’s been built in virgin land so it’s a magnificent facility, but of course that has required some of the most senior technical staff to relocate and move their families to this area. That isn’t an easy decision for companies or technical people to take. McLaren racing director Eric Boullier admits his team’s struggle to get its new Honda power unit up and running in Abu Dhabi was “not good enough”, but said there were some positives to draw from the two day test. Over 18 hours of track time, McLaren successfully completed three laps and came up short on two more due to on-track issues. The team’s main problems were electrical and on its final attempt on Wednesday afternoon the car came to halt on the first lap of a four-lap run. “It was still an electrical issue,” Boullier said. “We fixed a couple of them overnight and today and on the first installation lap the car ran quite well and with no problem at all. When hitting the track again on a longer run the car just blacked out completely. Boullier admitted McLaren’s two day test has not met expectations, but said it was better to get the issues out of the way this week instead of encountering them at the first test of 2015 in Jerez. “It’s obviously not what we wanted to achieve. Our target was to run the car on track, to run all the systems, and we were not expecting here to develop anything other than trying all the systems. We didn’t achieve this, so we failed on this. “Yes, it’s a still a bonus because going into such a test in Jerez and having the same problems would hurt us much more. At least both Honda and McLaren have worked very hard to make this hybrid car and come here. Operationally we went through a lot and when we were not running, we were dismantling the car in multiple parts and at least we learned a lot about processes and what could be wrong in the future. McLaren is planning on completing its first official test with its Honda power unit during the two days of testing following the Abu Dhabi Grand Prix. 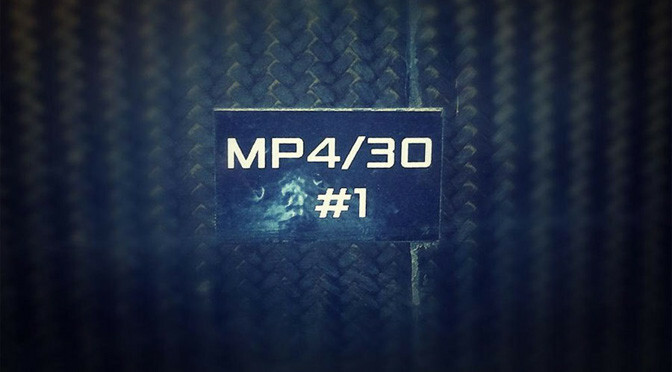 The Honda power unit ran for the first time during a filming day at Silverstone last week, but under the sporting regulations could only complete 100km for marketing or promotional purposes. The Abu Dhabi test offers the team a chance to put the power unit through its paces in the back of an interim car designed specifically to house the Honda V6 turbo. “We are now only a few days away from formally commencing our exciting technical partnership with Honda, and, subject to satisfactory final bench-testing, it is currently our intention to run our interim development car, the McLaren MP4-29H/1X1, on the test days that will follow the Abu Dhabi Grand Prix,” a team statement said. 2015 will mark a new era for McLaren as it not only joins forces with Honda but it also completes the restructuring of its senior management and technical team. Since last season, McLaren has undergone big changes, chief among them Martin Whitmarsh leaving as team principal and Ron Dennis retaking control of the team. It has also recruited Eric Boullier from Lotus as racing director and Red Bull aerodynamicist Peter Prodromou to help head up its design team.